Desirable double driveway gates will suit any location. Manufactured in the UK to a high standard. Featuring fleur de lys finials, metal cages and decorative scrollwork the Cromwell 4ft high metal driveway gates look simply amazing. Suitable for any residential application the gates are available to buy online in a choice of sizes making them an appealing option for homeowners looking to add security and privacy to the main driveway entrance of their home without having to compromise on aesthetics. Individual design elements create a wonderful overall appearance. 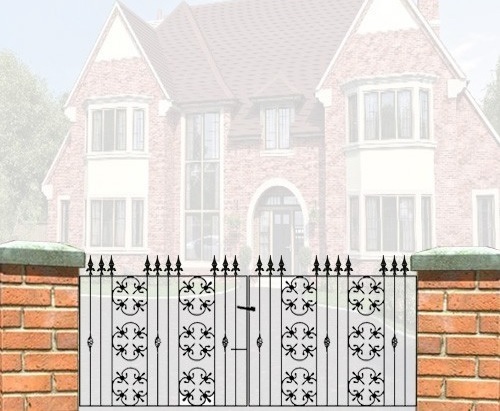 Double entrance gates are manufactured in the UK from high grade solid steel components. Available to buy online in a variety of sizes. Constructed using 20mm x 8mm frames, 10mm infill bars with decoratve cages and 10mm x 3mm scrollwork. Cromwell 4ft high driveway gates have a factory applied black primer finish and must be painted before you install them. 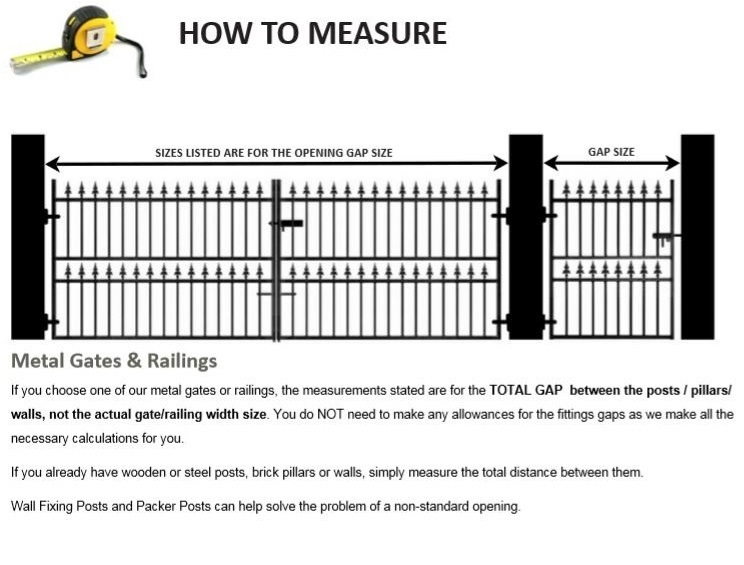 Need help choosing the right size double gates? Call us now on 0844 804 5577 to speak to us in person, take a look at the section on how to select the right size gate or read our frequently asked questions page. If you would like the gates supplied with a low maintenance finish or don’t have brick pillars or other means of support we are able to offer you the following optional extras. To find out more information or the additional costs for these please call us on 0844 804 5577, email sales@gardengatesdirect.co.uk or fill in our enquiry form online.